Impresionist Jim Meskimen has been dubbed the 'The World's Greatest Impressionist' since Rich Little. 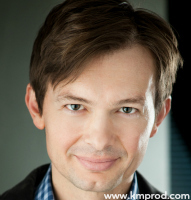 Jim Meskiman is a veteran comedian, actor, & improviser. He is best known for his improvisational work on ABC's Whose Line is It Anyway and, as a voice over artist for animation & video games. As a professional actor for nearly thirty years Jim has appeared in the films Apollo 13, The Grinch, Frost/Nixon, There Will Be Blood and many others. Some of Jim’s TV credits include recurring roles on Parks & Recreation, Fresh Prince of Bel Air, and Whose Line is it, Anyway? 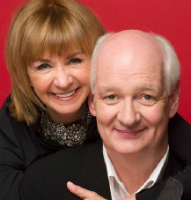 as well as guest roles on Friends, Castle, Hot in Cleveland and Rules of Engagement. His own viral video Shakespeare in Celebrity Voices topped three-quarters of a million views in 2011 and subsequent impressions videos have cemented him as a major YouTube talent. The Australian Today Show dubbed him, "The World’s Greatest Impressionist." As a finalist on America's Got Talent in 2013, Jim performed his impressions at Radio City Music Hall in New York City to a standing ovation. He stars in The Impression Guys, an original half-hour series on YouTube’s SoulPancake Channel, produced by Rainn Wilson and directed by Ben Shelton. The series has been called, "The Best Web Series of 2014." He continues to supply new and unusual impressions for film and television, including JFK for Michael Bay’s Transformers 3, and George Clooney's Monuments Men, where he provided the voice of President Harry Truman. 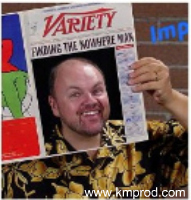 A hilarious "customized audience interactive" evening of celebrity impressions, comedy and improvisation. Jim presents an homage to the art of vocal mimicry, is this 60-90 ninety minute tour de force in which he relates his observations of and experiences with, over 65 different celebrities, from George Clooney, to Kevin Spacey, from William Shatner to Morgan Freeman … and even Flipper. Jim Meskimen is represented by K&M Productions for conference & corporate event entertainment. 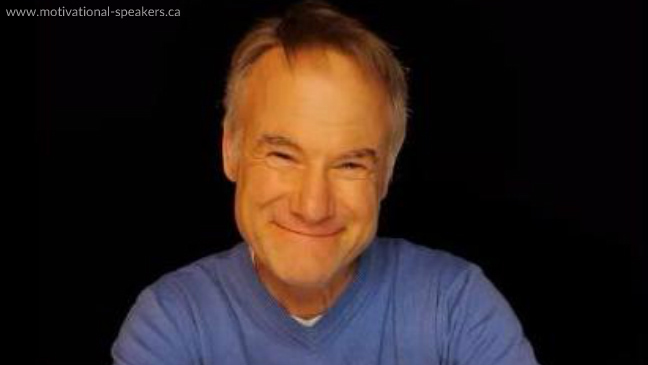 For more information, fees & booking Jim Meskimen contact us. Meskimen is a very talented impressionist, but what’s most impressive is that he not only imitates obligatory celebrities like Arnold Schwarzenegger, George W. Bush, Jack Nicholson and Jimmy Stewart but also people like George Clooney, Paul Giamatti and Ricky Gervais - celebrities you wouldn’t think were ripe for impressions until you hear his takes on them. Fifty-eight lines of dramatic Shakespearean text, delivered in 24 famous celebrity voices, expertly imitated in four minutes of YouTube footage by one side-splitting, hyper-observant celebrity impersonator. You could take the time to crunch the numbers, but we’d recommend that you just hit “Play” and be amazed instead. In under four minutes, Meskimen’s final tally is 25 different voices. He seems to effortlessly cover a ton of ground, from Ricky Gervais to George W. Bush to Morgan Freeman. We’re sure it took enormous studying and practice, but Jim doesn’t break a sweat at all in this performance.